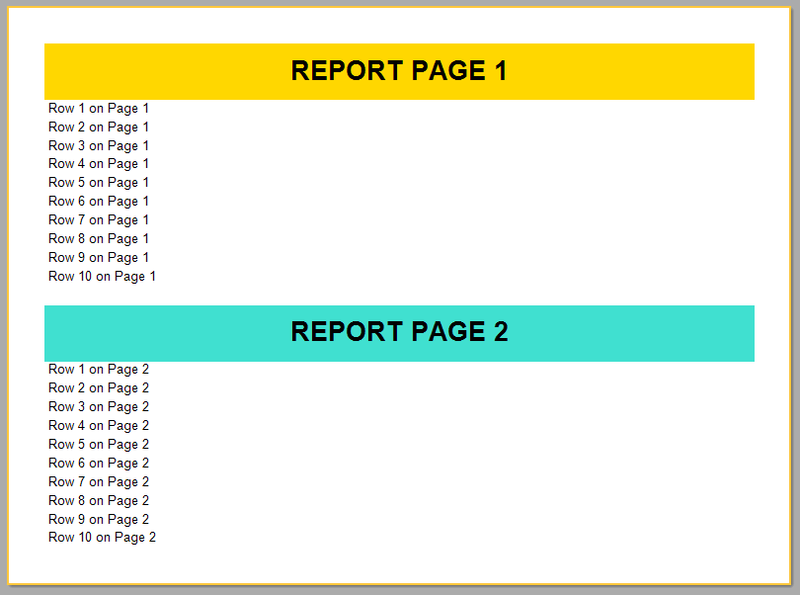 Using property PrintOnPreviousPage with unlimited pages - Fast Reports Inc.
For the page you want to merge with the previous the property PrintOnPreviousPage should be enabled. If you do not observe these restrictions, the merging of pages will not happen. The functional of merger of unlimited pages became available with version 2017.1.13. 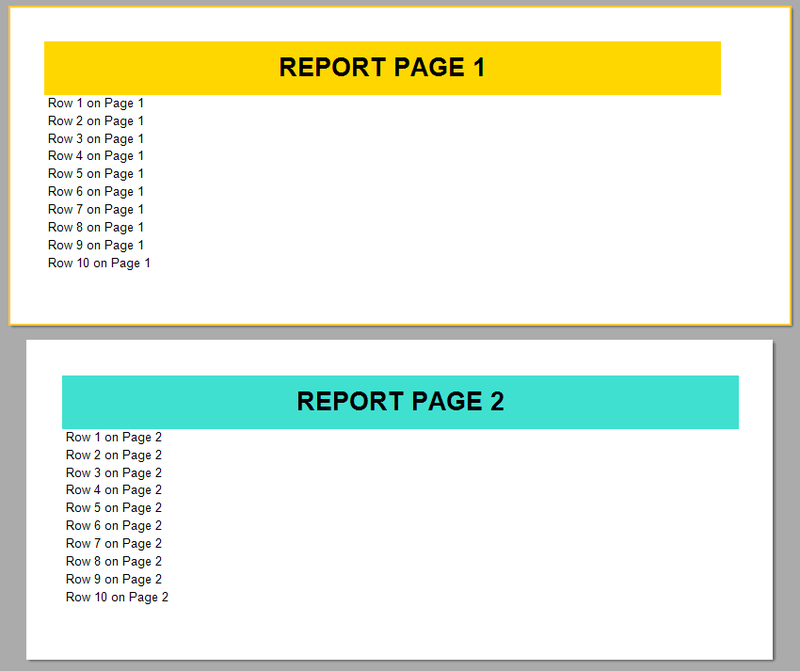 Pages have the same width 21cm. For both pages enabled UnlimitedHeight property. 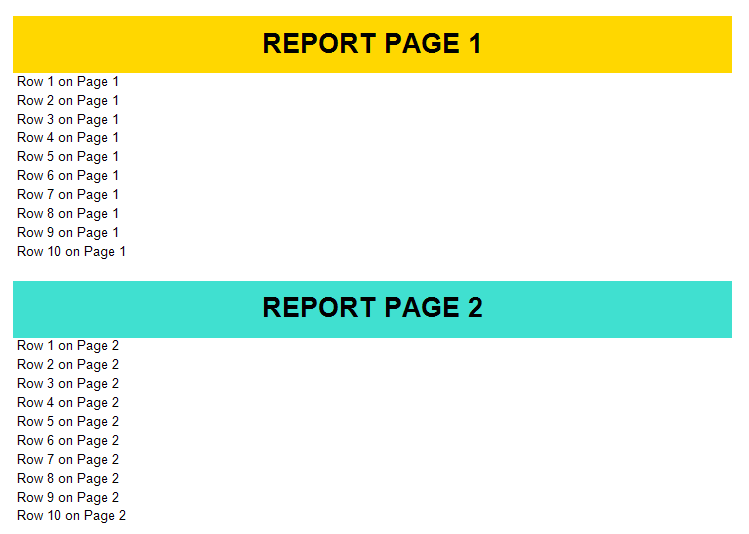 For the second page enabled PrintOnPreviousPage property. Thus, you can now use PrintOnPreviousPage property for "unlimited" pages. 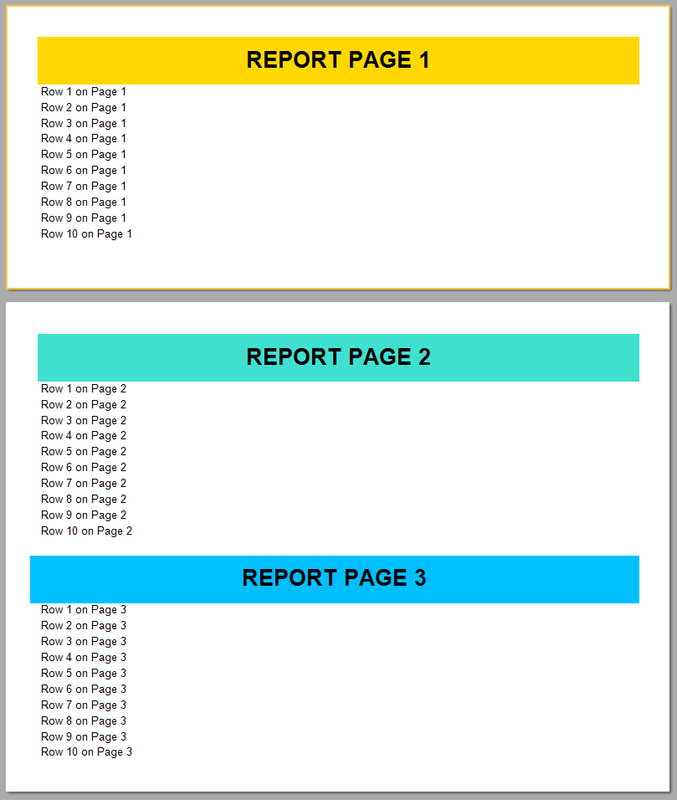 This makes a report with a few pages one-page report.